Entering the world of Kathakali – to experience new approaches to learning and teaching. An immersive workshop led by Kathakali artists to learn the key conventions of this dance theatre form, followed up by application sessions to reflect on work and plan how to use Kathakali in your own practice or classroom. Attendance of live performances will enrich understanding of the theatre tradition and its culture. Middle school and high school theatre teachers. Perfect for IB DP Theatre teachers! Teachers will leave this workshop with first hand practical experience of Kathakali set in its wider cultural context. With activities geared to taking Kathakali back into your classroom you will be able to work with students in a confident and knowledgeable way; introducing new units of work and activities to enrich this ‘world tradition’ aspect of your theatre classroom. I am a drama specialist and dancer who has worked as a teacher, teacher trainer, director, choreographer and performer. I studied Drama and Theatre in Education for my undergraduate and masters degrees. Over the years my work has taken me to Istanbul, Sao Paulo, Cairo, Mumbai, Portugal and Hong Kong. Now I am a freelance artist based in the United Kingdom. I have been learning Kathakali since 2004 and have always trained with Kathakali masters in India. I started my training with Mr Keshevan Kalamandalam at Vijnanakalavedi in Aranmula, Kerala, where I learnt the mudras, navarasas and basic kalsadhakam of talas and kalashams. I continued my training at the Kerala Kathakali Centre, Cochin, under the guidance of Vijayan Warrier Sadanam, where I still train. My first performance in 2015 was as Krishna at Gopalakrishna temple, Amaravathy, Fort Cochin, Kerala. 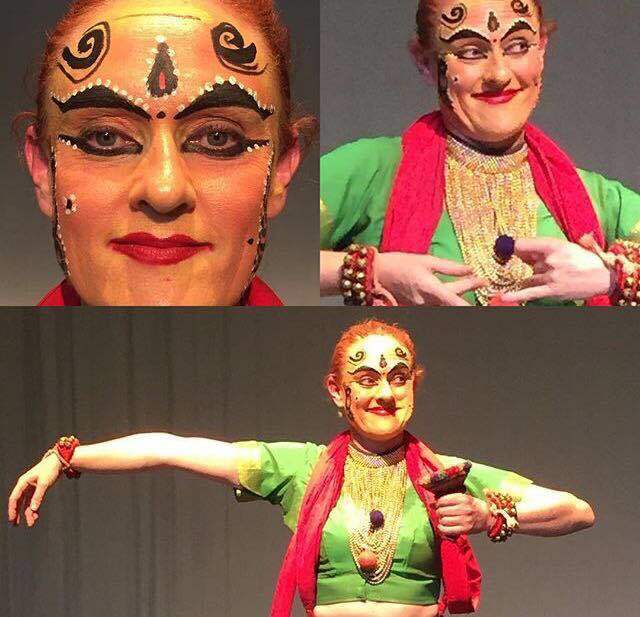 In 2017 and 2018 I performed as Kichaka, in a section from the Mahabharata, in performance presentations in Atlanta and Australia. I have run training and master classes for teachers and students in Australasia, North America, Europe and Asia. I started off as a musician and dancer and have been in jazz bands and contemporary dance companies internationally. Since 2008 I have been learning Kathakali (dance theatre from southern India). I have initiated theatre programmes in schools around Istanbul, remote parts of Ethiopia and in Dharavi, the largest slum in Asia. I have worked for ISTA since 1999 and was on the board of trustees for six years. During that time I hosted many festivals and while on staff I have Repped, worked as an AD, TWL, run master classes and run many AiRs. I have worked for the IB since 2002. The workshop begins at 8:00am on Friday 19th April 2019. The workshop ends at 3:30pm on Sunday 21st April 2019. Registration closes 8th March 2019. Teachers from member schools – GBP £450. Teachers from non-member schools – GBP £495. Artist travel plans are due by 22nd March 2019. ISTA artists are responsible for booking their own flights to Kerala and will use our travel agency for this. Artist teams will be activated 12 weeks prior to the Studio and your EC will talk you through the process for booking flights at the time of activation. Artists are also responsible for ensuring they have the necessary visa to enter India. The room rate is £21 per person per night, including breakfast and tax. The journey from the hotel to the studio venue is approximately 10 minutes on foot. Fees for accommodation will be added to your registration fees. Breakfasts will be provided at the hotel; lunches will be provided; dinners are not provided. ISTA will cover all meals for artists for the duration of the Studio. Finishes on Sunday 21 April at 15:30 .